The massive Indian state of Rajasthan is one of the most beautiful places I’ve ever seen, in a country that I loved as a whole. From Jodhpur, Jaipur, Udaipur, and several points in between, I traveled in stunned awe, marveling at the splendour of princely palaces but also at the state’s natural beauty. There were other places in India that stole my heart more but, for sheer impressiveness, the ancient cities of Rajasthan are hard to beat. Yet, my feelings about Rajasthan were actually not why I was so desperate to try the perfume by the same name from the Italian fashion house of Etro. No, in this case, it was purely a superficial issue of bottle beauty. 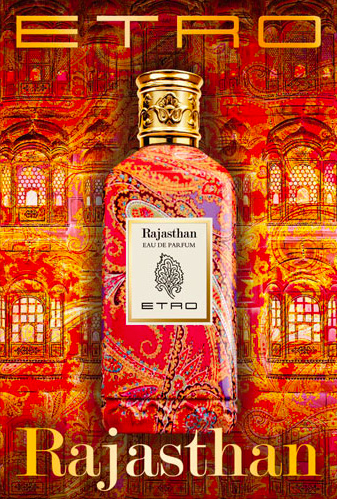 I’m really not one to be swayed by perfume packaging, but Etro‘s Rajasthan was a distinct exception to the rule. From the moment I saw the bottle, I loved it. Back when I would post about upcoming releases, the only one which ever tempted me solely because of the packaging was Rajasthan. Later, when reviews came out, I lost my enthusiasm, as the character of the fragrance didn’t seem to match the splendour of that vivid packaging. 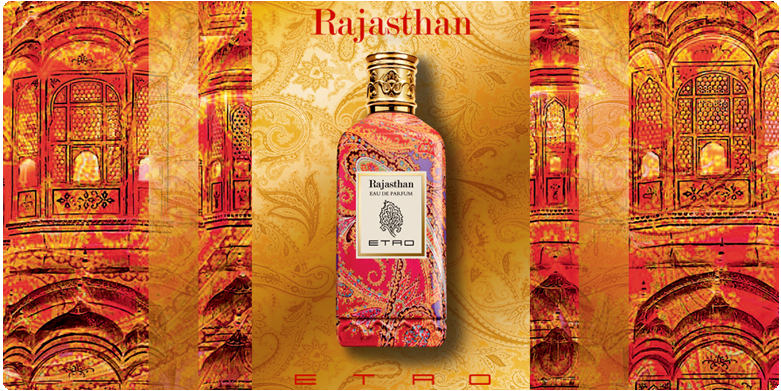 Still, when I passed by an Etro boutique in Paris, I made sure to give Rajasthan a sniff and to get a sample. Alas, the bottle really is fundamentally better than the scent. By a landslide….